Although The Flash is including a variety of people from the Scarlet Speedster’s history, the show is also delving into separate areas of the DC universe for other characters, most notably from the Firestorm comics. In addition to the many characters already culled from that series, Luc Roderique has joined the cast as Jason Rusch, who is currently one-half of Firestorm in the comics. 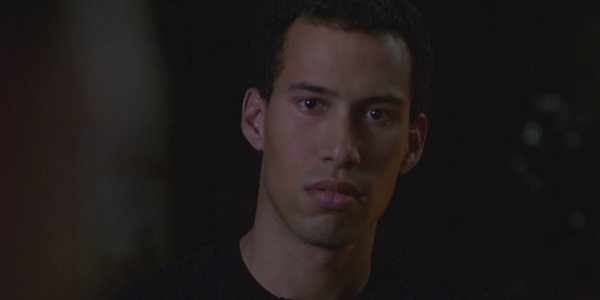 This version of Rusch, who will appear in the tenth episode on December 16, is described by KSite TV as a graduate student from Hudson University who worked with Professor Stein on the F.I.R.E.S.T.O.R.M. project. Roderique’s other credits include an appearance on The 100 and a recurring role on Caprica. He will also be seen in the pilot episode of iZombie, and here's a shot of him from his Supernatural appearance. Since his introduction in 2004, Rusch has been one half of the Firestorm matrix. While he was originally paired with Professor Stein, the current comics feature Rusch partnered with Raymond, who is his classmate in the New 52 continuity. Like Stein, Rusch has an aptitude for science and is frequently frustrated by Ronnie’s slacker attitude. The two of them headlined their own series from September 2011 to May 2013 titled The Fury of Firestorm, which lasted 21 issues. Currently they are main characters in the weekly series The New 52: Futures End. It’s already been revealed that Raymond and Stein will be fused as Firestorm in the TV series, so what role Rusch will play is unclear. It’s interesting that instead of being part of the particle accelerator project, he's working on the F.I.R.E.S.T.O.R.M. project with Stein. Obviously the acronym is a way for the show to include the superhero identity in a realistic way, but what do those letters stand for? It’s possible that this project somehow relates to the particle accelerator, and Stein and Raymond will turn to Rusch to help the S.T.A.R. Labs team help separate them. However, it’s possible that the show may also see Rusch becoming one-half of a new Firestorm duo at some point during the show’s run. While it hasn’t been revealed how Stein and Raymond’s story will progress, it’s likely they'll eventually find a way to not only spearate, but become Firestorm whenever they choose. If something happens to one of them, Rusch may step in to take their place. Since Rusch and Raymond are Firestorm in the comics, this wouldn’t bode well for Professor Stein. Beyond Rusch, The Flash boast Caitlin Snow is a main cast member, has featured Ronnie Raymond in the third episode’s flashbacks, and of course will see Professor Martin Stein appear later this season. Not to mention the appearances from supervillains Multiplex and Plastique. What other Firestorm familiars will make their way to The Flash? Tune in every Tuesday night on The CW to find out.